Since support for service workers landed in Mobile Safari on iOS, I’ve been trying a little experiment. Can I replace some of the native apps I use with progressive web apps? The two major candidates are Twitter and Instagram. I added them to my home screen, and banished the native apps off to a separate screen. I’ve been using both progressive web apps for a few months now, and I have to say, they’re pretty darn great. There are a few limitations compared to the native apps. On Twitter, if you follow a link from a tweet, it pops open in Safari, which is fine, but when you return to Twitter, it loads anew. This isn’t any fault of Twitter—this is the way that web apps have worked on iOS ever since they introduced their weird web-app-capable meta element. I hope this behaviour will be fixed in a future update. Also, until we get web notifications on iOS, I need to keep the Twitter native app around if I want to be notified of a direct message (the only notification I allow). Apart from those two little issues though, Twitter Lite is on par with the native app. Instagram is also pretty great. It too suffers from some navigation issues. If I click through to someone’s profile, and then return to the main feed, it also loads it anew, losing my place. It would be great if this could be fixed. For some reason, the Instagram web app doesn’t allow uploading multiple photos …which is weird, because I can upload multiple photos on my own site by adding the multiple attribute to the input type="file" in my posting interface. Apart from that, though, it works great. 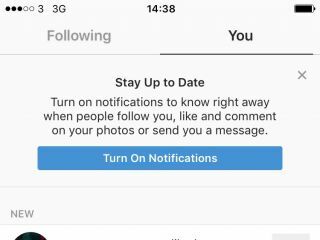 And as I never wanted notifications from Instagram anyway, the lack of web notifications doesn’t bother me at all. 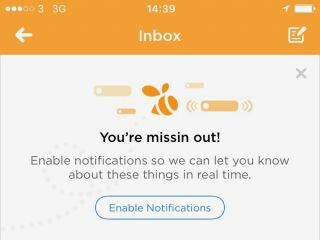 In fact, because the progressive web app doesn’t keep nagging me about enabling notifications, it’s a more pleasant experience overall. Something else that was really annoying with the native app was the preponderance of advertisements. It was really getting out of hand. Well …(looks around to make sure no one is listening)… don’t tell anyone, but the Instagram progressive web app—i.e. the website—doesn’t have any ads at all! Here’s hoping it stays that way. Bram hopes for a way to define aspect ratios natively in CSS. We can sort of manage it now, but all the solutions are pretty hacky. My argument is relatively simple: creating a comprehensive styling mechanism for building complex user interfaces is startlingly hard, and every alternative to CSS is much worse. Like, it’s not even close. J. C. R. Licklider’s seminal 1960 paper. I’ve added it to this list of reading material.